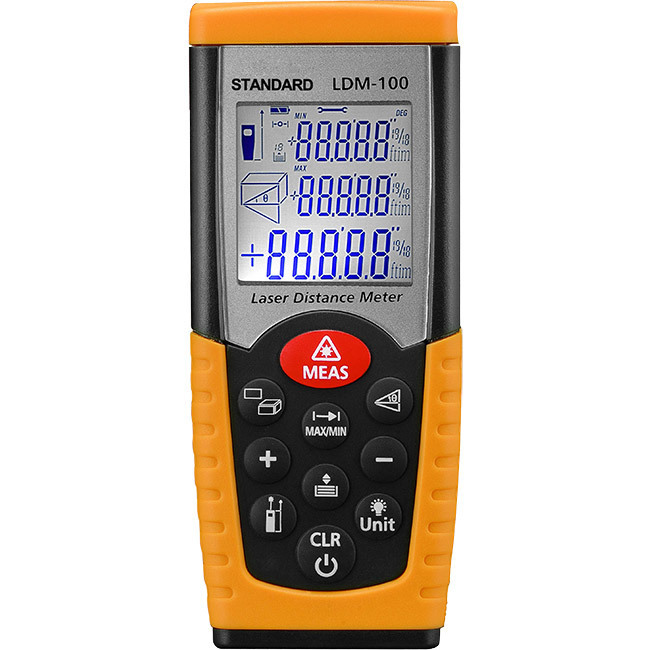 LDM100 is designed to give the users a high accuracy, one-person distance measuring and estimating tool to measure remote and difficult to reach places. This laser distance meter is the most advanced in laser measuring devices with a built in tilt sensor for indirect height measuring. It is designed for indoor professional using.